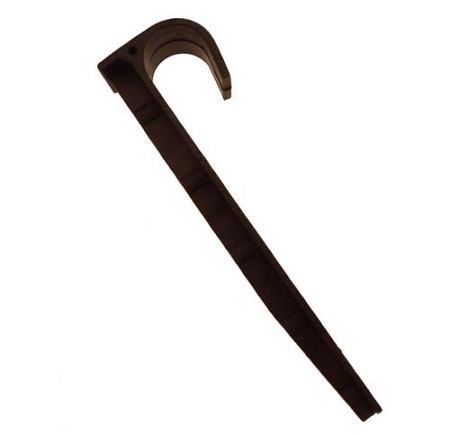 1/2" Plastic Stakes have an exclusive cleated design to hold lines securely in place. Measures 5-inches in height. 1/2" Plastic Stakes have an exclusive cleated design to hold lines securely in place. Measures 5-inches in height. Holds tubing sizes from .420 - .710 od soaker hose and drip tubing in place. These DO NOT fit the 5/8" Soaker Hose. Use the 1/2" wire stakes for 5/8 Soaker Hose and 820 Drip Tubing.